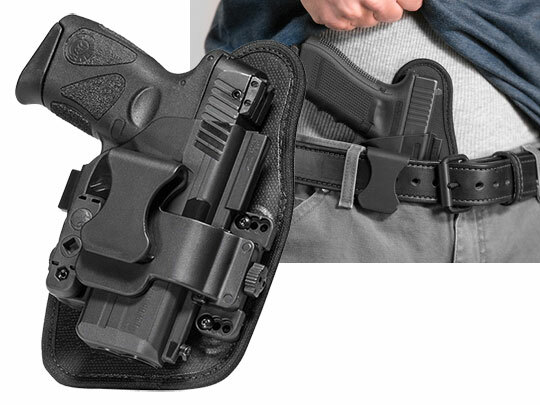 Inside the waistband or IWB holsters are the standard for concealed carry. 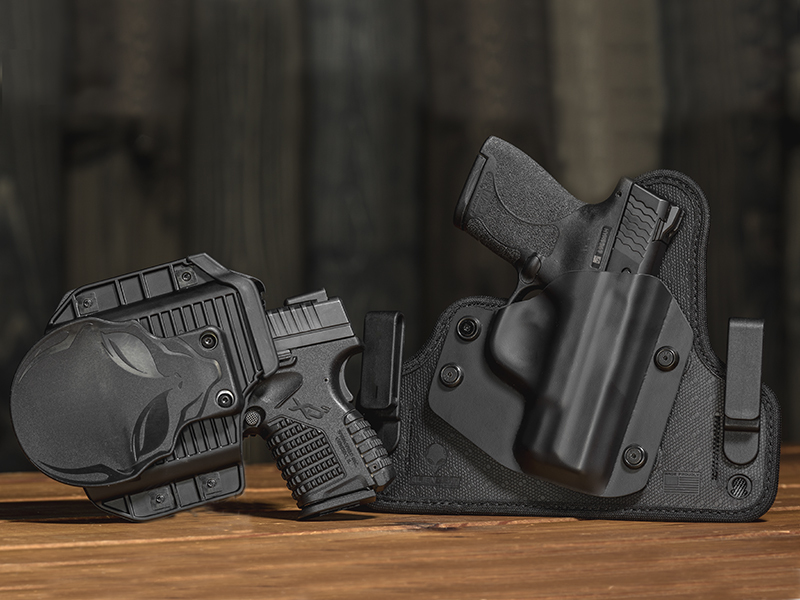 Alien Gear's IWB holsters are designed to conceal easily but carry comfortably, so you can carry all day without the typical pains of carrying with lesser quality holsters. We design our holsters to last for decades of use, and to be adjustable so you can set the carry position and holster retention to your exact preference. 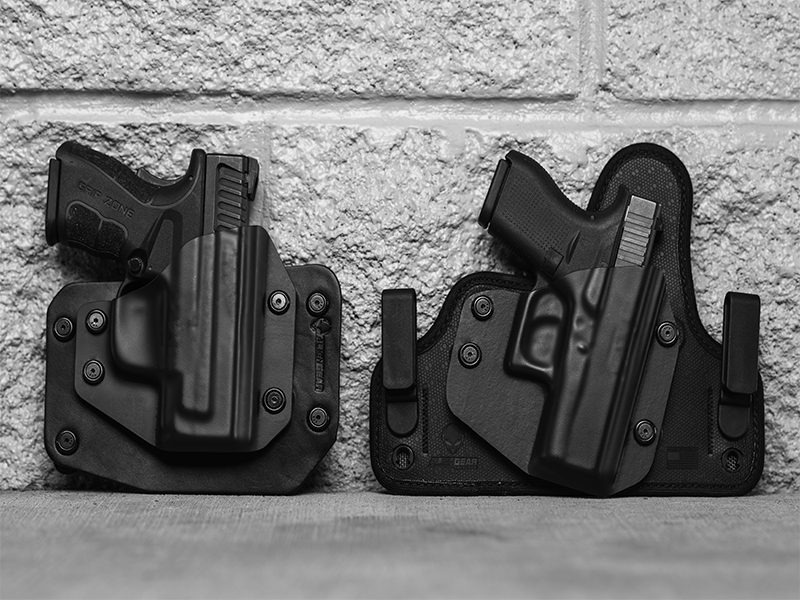 Alien Gear's IWB concealed carry holsters are designed to excel in areas where other holsters fall behind. 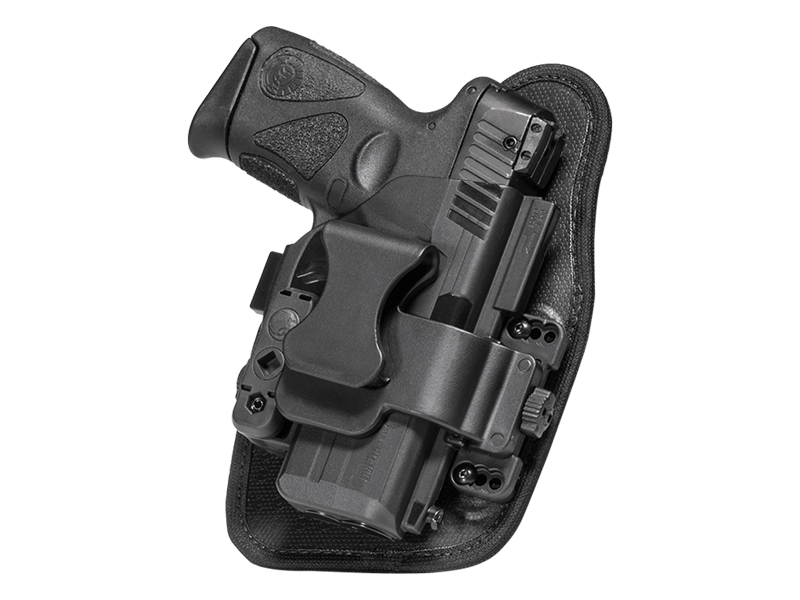 The ShapeShift IWB holster has an innovative shell design that completely wraps the trigger guard and covers the pistol, but does so with less surface area than other holster designs and without sacrificing durability or fit. 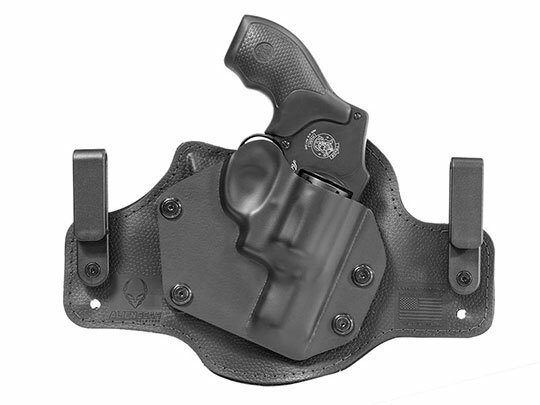 As a result, the footprint of the holster backer is reduced compared to other designs. The Cloak Tuck leather IWB holster is made using plush 12-oz black or tan leather, which ensure a more secure carry even after break-in - unlike many other leather holsters. 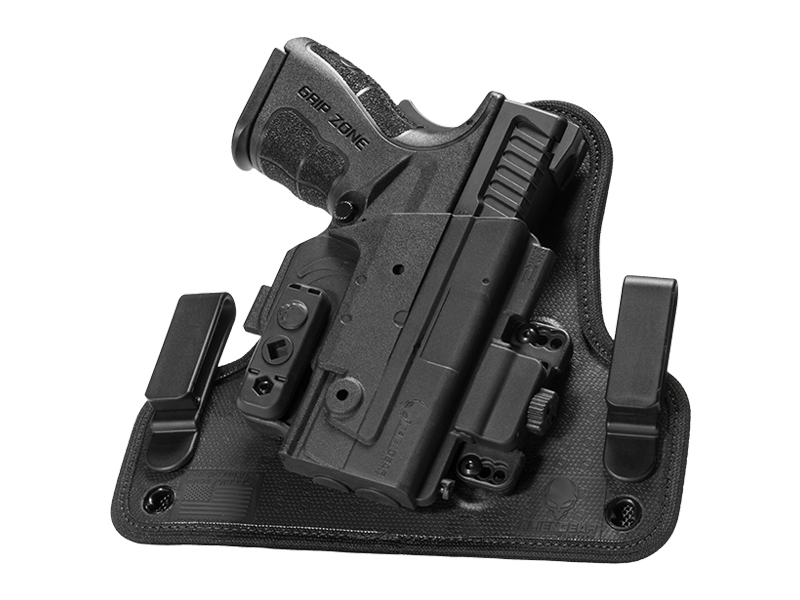 The Cloak Tuck 3.0 holster was one of the first holsters on the market to feature a neoprene backpad and spring steel core, which made it more comfortable - yet more durable as well - than many other holsters on the market. Every Alien Gear IWB holster is designed to adjust the ride height, grip cant and retention so the wearer can dial these settings to precisely the setting they desire. The belt clips on the ShapeShift IWB holster can be moved without the use of tools, allowing you to make adjustments on the fly. The Adjustable Retention Unit is also able to precisely dial in the passive retention should the user desire. The ShapeShift can also be equipped with J-clips, C-clips and O-clips besides our standard belt clips, as can the Cloak Tuck line in case you prefer a different style of belt clip. Holster retention in an Alien Gear holster is better than with many competing holster designs through our innovative shell designs. The ShapeShift IWB, despite being a hybrid holster, fully wraps the trigger guard, offering a superior fit and retention right out of the box. Many have found that further retention is almost unnecessary as a result. The retention shell of the ShapeShift and our Cloak Tuck line are custom-made for the precise make and model firearm it is offered for. We don't offer generic shells that fit multiple pistols; we make the shell for your gun. As a result, you get the custom holster fit without the custom holster lead time or break-in period. 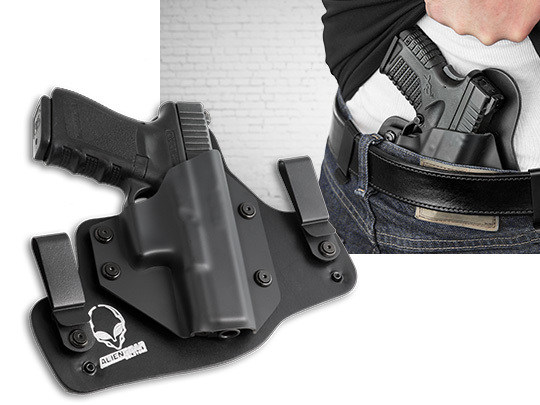 Alien Gear's holsters are designed to give you the IWB holster for your gun, not an IWB holster that will fit it. One size does not fit all, and some don't even fit most or even many. You get the backing platform to precisely fit your pistol, whether it's a micro, subcompact, compact or full-size pistol. 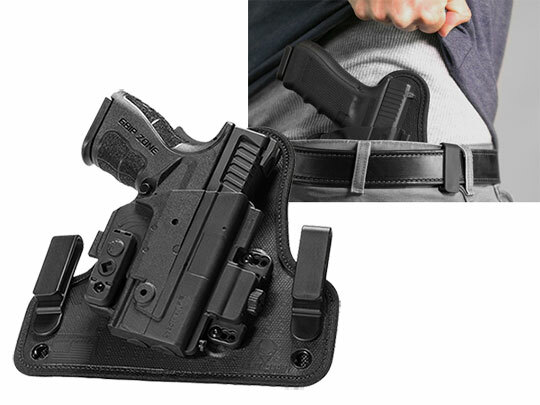 This way, you don't have to fight a bulky holster platform that's designed for any pistol that you carry a micro pistol with, nor a holster that's too small to hold your full-size pistol. 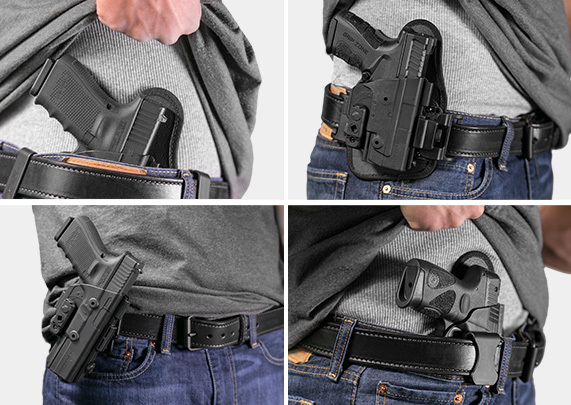 With the right holster for your pistol, you get better concealment and a more comfortable carry than with a holster design that doesn't really suit your concealed carry pistol. Looking for something a little different? 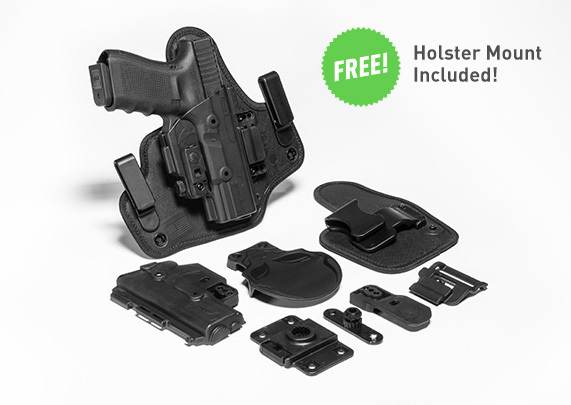 Check out all the options that we have to offer with our holsters.